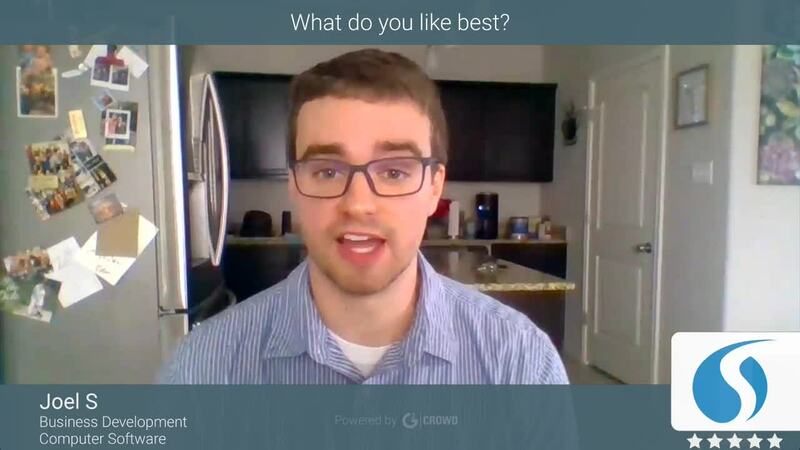 "SalesLoft has made my life so much easier!" "Salesloft is so user friendly "
"SalesLoft is a greath solution for marketing to follow people to offer services"
I think is the draw follow that we can create byself and working step by step, also we can know what it is working to approach our objetive creating campaign and we are planning what we must to do for optain that. Many people don´t use it but they should use I recomend to sale for a big company because as you don´t thing they use obsoletes tools according with my experience. We need to be very organizer to work well to get a good results. Its means to quallify the results in the authomatic dashboard. When I call somebody aut of the cadence the call is no registrer even loged, the step lost and not complete it is something thay you must to correct. When I want a dashboard its apears as I have not called nothing if I not loget. Some time we has bad fit and I do not it is problem of the carrier that you select or probably the Saleloft tool. Yes it is importan to reduce the time of your work. I Think time administrer it is important to reduce the process. According with my job I aproach my goals to potain a lot of meeting to sales our services. I had optain successful close with the people and maybe is is the first step to validate and prospect some clients. It is benefit that I see. "Easy to keep track of emails and campaigns"
It allows me to directly sync my email activities into my CRM, it also gives me the benefit of easily track the activity of any sent email. I especially like the loft it functionality, it's super easy and doesn't take time from my day to day work. I cannot easily create a reminder for emails that been sent and have them looped back into my inbox. In many cases I want to tag an email with a rebound notification if I for example haven't received an response within two weeks or similar. This is not possible with SalesLoft today and hence I need to use two email management products which I would like to avoid if possible. To qualify exactly why they need a tool like this. In my opinion it works best for email analytics and campaigns, so if you are looking for such tool I would really recommend SalesLoft as a great option for such use case. SalesLoft better allows me to analyse what emails that triggers interest at my customer and which emails that don't. I can easily create campaigns and target those towards specific personas within my targeted leads and accounts and then track the conversion rates of those. It is also very easy to determine when a lead should be taken out of the campaign and not receive any more emails. "Personal assistant to analyze and manage emails and sales"
It is easy to create emails with different templates to send to the target of customers that we are interested in and at the same time you can track those emails, which facilitates the subsequent analysis of the data. This analysis and data obtained through these reports can be seen in the control panel informing you of aspects such as when it is opened, when it is answered, all this serves to improve future mailings. All the data obtained is registered within the SalesLoft platform, which saves you having to re-enter certain data afterwards or having to perform repetitive tasks by hand such as inserting emails. Sometimes I could give an erroneous notification when you track emails. If you open that email it detects it as the client has opened it, they are small specific errors but you have to be careful to avoid confusion. When loading leads, sometimes they do not register well and you have to insert them again. Salesloft improves the management and analysis of emails, customers and can increase and improve the sales section. It has tools that automate and also allow improving the processes described above. We have a larger register of emails and we divide them depending on the potential clients and also on the information and campaigns that we want to carry out. This organization has allowed the marketing area to be more functional than before. Sales also make us easier to perform and analyze. The automation of tasks such as records and insertion of customer data becomes much simpler. These data that we obtain from customers help us to better select the sales channels, products and information that we want to reach them. "Nice tool but could be improved"
Tracking how emails do is actually a pretty useful for my “business”. When an email campaign doesn’t work, it is the opportunity to improve and get better at targeting people. I love that you can easily copy your team cadences, because it saves you a lot of time. Not being able to prioritise calls is an issue as sometimes some of the calls are less important yet they still show up in the calls I have to make on that day. Another issue I get on a daily basis is the bug related to removing people from cadences. When you log a call, it doesn’t always remove the customer from the cadence and people get an automatic email even though I talked to him on the phone. One of the major problems as well lies in the fact that it doesn't integrate with Salesforce properly. It feels like another layer on top of all the processes we, sales people use on a daily basis. Also, only the ADRs use it and AEs and marketing don't use it really so in the end there is not a lot of communications between different teams. Make it in a way that marketing can use the tool more to save the sales team time! It is definitely a useful tool that can help you be more efficient on a daily basis. But the salesforce + marketing integration needs improvement. Knowing if people read my emails is very useful. You can target people better. The simplicity of SalesLoft in managing daily tasks is great. Keeps everything on track without having to worry or wonder when to reach out to customers. The integration with Salesforce.com is a huge plus as well. Additionally, having a daily cadence to know what to expect & what tasks are scheduled for any given day is great. Just open up SalesLoft and you know what activities are ready to be performed for that day. Removes all guess work of when to and how frequently to reach out to customers. Only wish I could have a "master view" of all current cadences that are on-going at once - even the ones that are active that day. Simple, ease of learning, and integration with Salesforce.com. Makes daily contacting and outreaching to customers smooth and manageable. Easier connectivity with timing of cadences. Able to construct customer-tailored messaging to specific personas for a more effective outreach. "Must need for a Sales Development Representative"
This tool has helped me become a very successful sales development rep. I had over 100+ leads per week where i could not have send emails to these customers manually. SalesLoft helped me understand what I needed to prioritize. Since my last role, I still use SalesLoft to send email blast to customers as well as the promotions we're currently running in our company to our partners. We've had several salesloft reps stop by our company to help us learn more about what we're not utilizing within the tool. It was very hard to transition to Salesloft in the beginning. The interface is difficult to use if you never seen it before. Training take some time. It'd be great if salesloft would train our new employees. However after using it daily, it becomes simple. Exporting contacts takes a bit too long and sometimes errors out. Salesloft should notify us of keywords that we shouldn't use due to spam filters. Give Salesloft a test trial run. Have your team sync this tool to their salesforce and you'll be surprised how productive your team will be. When you don't have the bandwidth to send emails, SalesLoft will be the main tool that will be able to help you out. Salesloft support has been superb and they respond extremely fast. The email response time has been less than 20 minutes. This surprises me because i usually go to my manager for help, but it would take them 2 hours to respond. "Salesloft - essential tool for lead and prospect development!" Salesloft is constantly improving their platform! Every month new features are released, and they really do listen to their customers, addressing problems and improving the service. Service from the Customer Success team and my direct account manager have been top notch, always receiving assistance within 24 hours or less. I would prefer regularly scheduled live training or "office hours" sessions that help get new users onboard easier than self-training, and also allows veteran users to drop into office hours with questions about new features or tweaking their personal cadences to increase effectiveness. I'm unable to find a support phone number, which would be nice to have when you need immediate assistance. We're able to reach more prospects in less time, increasing our outreach volume threefold. The Salesforce integration is great for saving time on task logging (our reps hate wasting time and clicks in SFDC...SalesLoft helps solve that problem). SalesLoft's biggest strength is its App Ecosystem combined with automation to produce customization at scale. The App Ecosystem provides tools that integrate seamlessly into SalesLoft and Salesforce, enabling users to personalize messages at mass and deliver them through a variety of forms. By providing a number of intelligence solutions like Owler, Twitter, and LinkedIn Navigator in one place it increases efficiency allowing our reps to spend as much they need per prospect. This empowers reps to act in their own decentralized manner depending on bandwidth and experience to who gets the most personalization. This personalization is delivered in combination with many different types of engagement to drive conversions. Finally, the App Ecosystem alows SalesLoft to address its own platforms weaknesses by integrating with tools that specialize. For example, SalesLoft’s calendar did not provide the booking functionality PandaDoc required. But Chili Piper, a tool within the App Ecosystem, did. This makes SalesLoft an extremely versatile prospecting platform that can be used by more than just SDRs and AEs. PandaDoc currently has 6 teams using SalesLoft ranging from generic users, marketing and sales, to billing and product. In combination with our other tools, SalesLoft and its App Ecosystem make up what our Co-Founders call “The Deal Room” - giving PandaDoc’s individual contributors a head and shoulders advantage over any competitor. Every day I hear from our SDRs/AEs about the dialer. If you plan to use it I recommend you get the package to have your dialer optimized. There is always the solution of using another tool for just calls, but we haven’t gone there yet. Automation rule logic is a little strange because of how the UX is set up. Once you figure it out, it's easy. I know you can use tags but there is still no easy way to see replies, clicks, and opens. I would also like to filter by field. Know that SalesLoft does not have API limits so if you are mass uploading it can blow things up. But the ability to have a centralized prospecting tool that can what I need or integrates with another tool that can empowers our 6 teams to crush their goals. Combine that functionality with world-class support, governed by a customer-centric business philosophy, and driven by awesome employees (I think I have been engaged with 12+ members of the SalesLoft Team), and you have one heck of a company. "Easy to use, automates outreach, great for marketing/lead gen with customized content"
I like the ease of use. You create the content, add leads (great integration from SalesForce), and SalesLoft manages the rest. I don't know if I could manage a lead gen role very efficiently without a tool like this. Feedback - it would be nice to have the ability to reply to messages from within SalesLoft instead of using a plugin for Outlook. It would also be good to have a 2nd email box - it doesn't come up very often, but would still be nice. Overall, there isn't anything I really dislike.... it's more of just wanting a couple of added pieces of functionality. The only hangup to a tool like this is having a great source of leads. We use Zoom. Also, make sure that you spend the time creating quality content up front and get your cadence timing before adding leads. Automate customized outreach for lead generation. The number of emails and calls I would be able to get out each day would drastically decrease without a tool like this. Prior to using SalesLoft, I have been using Salesforce as a CRM tool and to help me prioritise calling my prospects. However, with the advent of SalesLoft, a whole new world opened up for me with regards to the possibilities of contacting my prospects. I love the fact that I can create cadences and either automate emails or have an option to edit them and personalise them even more for each prospect. The integration with LinkedIn is great because it speeds up my research process massively. I love the dialler, it allows me to call prospects so quickly and efficiently go through the list. I also love the custom-built prospect record panel which allows me to quickly glean any news, competitive information or timezone of the prospect which allows me to prioritise calling in different countries. I also like the analytics feature that helps to assess the team performance as well as see which templates are high value. I also love being able to track my emails and seeing who is reading them! Sometimes the timezones don't work which means that I need to manually adjust them. I would definitely recommend this solution if you have high volumes of calls to make and emails to send and you want to implement a modern and easy to use platform which is also smart and can be integrated with other modern platforms (such as Salesforce CRM etc). This platform has a lot of potential and cool ways of using it which you can explore yourself or for / with your team. Proactive outreach to my prospect base is the number one business benefit. Staying up to date with who is reading my email allows me to prioritise who to call next to follow up with and what kind of topics they are interested in. Keeping my finger on the pulse of what is going on in my territory. Being able to determine which stage of engagement I am in with each prospect and account that is currently attributed to me. "Solves a lot of Problems"
It solves a lot of usability problems when trying to implement processes in Salesforce. Few sales people love using salesforce, it creates a lot of challenges to user processes and to tracking if users are following a business' process. Salesloft sits nicely on top of Salesforce to help group our different leads into different cadences based on where they are in their lifecycle. Click to Dial within salesforce and very easy to set up when compared to some other click to dial offereings. They regularly add new features. From a data management perspective it's very weak. If I were to really encourage my sales team to work 100% from salesloft then it needs more admin functionality around data - field types, validation rules etc. which is a pity because if the did work completley within salesloft I'm sure they would save much time each week but I can't sacrifice the data hygiene. Reports are nice but could be better. Chrome plugin could be better in terms of offering insights without having to go into salesloft. 2. Implement common sales processes across the team so that everyone can follow the same process and we treat all leads the same. This is a great solution for team email cadences and resource for SDR campaigns. As a manager, I like that I can listen to my team's calls and use it also as a coaching tool. The flow back and forth from Salesforce to Salesloft is often slow. There are many times that my teams calls do not log through Salesloft causing them to have duplicate data entry and slowing down their day. There is no direct line for support or customer service and if there is they don't tell you that. All support questions must be logged through a ticketing process. I understand this issue but it is extremely frustrating when it would be so simply to get on a phone call for a technical question. We switched our SFDC to the Lightning program, when this happened we lost our Salesloft connectivity. I submitted tickets for 2 weeks with little response and was just sent articles that were irrelevant AND sent us to internal resources. To remedy the issue we had to pay our SFDC contractor to troubleshoot the issue. So we spent money to fix an issue that could've been fixed by their support staff that we pay a monthly contract for. This has been a constant frustration. 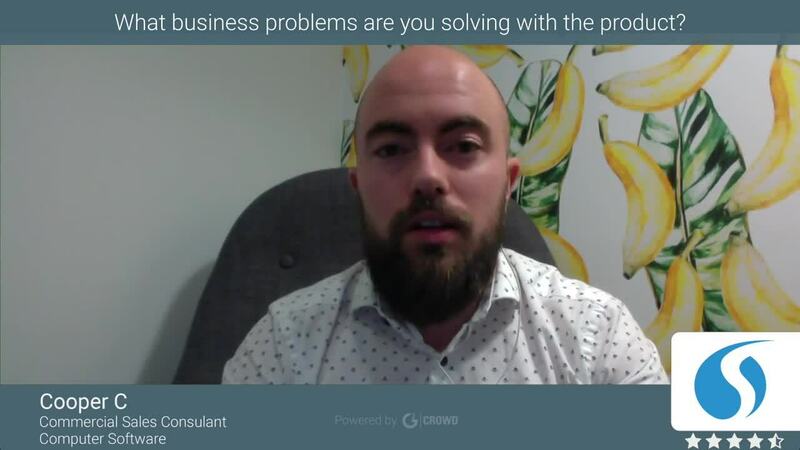 The problems we're wanting to solve are streamlining the prospecting process to generate more leads at a high volume and connect with a higher volume of clients. "It's not great for analytics, but I can't live without it." SalesLoft makes keeping up with prospects very easy. I know exactly where I stand when it comes to my workload and who I need to reach out to. It's incredibly versatile and customizable (and becoming more and more customizable) when I have many different cohorts of leads who require varying degrees of attention and messaging. The UI is also great, and it's improved in the last year or so. The analytics could use some upgrading. I'd like to see greater granularity of available data, all the way down to specific people for specific cadence steps. This would allow me greater control over messaging and timing of emails/phone calls. Also, the calling feature isn't 100% stable, meaning that there are times when the calls seem to not connect. Regardless, the ease of use of the calling feature negates some of my complaints. Try SalesLoft if you're a small team like us. There are many features that you can use to start with (automated steps, call recordings) and then, when you grow, you might consider something that provides better analytics (maybe Outreach.io). All-in-all, this is a great product, and I really can't do my work without it. We have a ton of leads, and there's no way we can stay on top of communicating with them with relevant emails and phone calls without some sort of automation. SalesLoft takes care of that for us. We've built our entire workdays and strategy around what SalesLoft's capabilities are. "A need for any organization with SDRs"
Platform designed for SDRs to work out of along with added benefits for AEs. A major sales enablement tool that is needed for organizations to help scale their sales team. Salesloft lays out daily tasks in an easy and digestible way. Plus, customer service for Salesloft is top notch! There are some little features that I wish were available like Admins being able to reset a user's password. It can be resource intensive so sometimes it can slow down a computer with multiple tabs open. If your team is looking to set a strong foundation for SDR/AE work then having a tool like Salesloft is needed. Salesloft definitely has had a positive impact in the efficiency of our reps and overall operational efficiency. We are using Salesloft to help scale our SDR team and having needed analytics to see how reps are performing. Our AE team also uses Salesloft to help keep up with pipeline and follow-ups. Overall, it has been a needed part of our sales stack to scale. "Great product Great Support Great Results"
The UI from an agent perspective is very friendly and flows very well. From an Admin perspective building and everything from cadences, to templates, to snippets just works. Activating and deactivating reps is quick and painless, the built in dialer is wasy to use and the chrome extension makes integration with Salesforce a great experience. They also have a great dashboard to install in Salesforce for tracking angent KPIs and cadence results. The Local Dialer option has been incredibly useful in our connect rates. Finally our CSR, their tech support, and their usage support has been great. The Analytics area in app are not very useful when using custom dispositions and sentiments, this also affects the rankings seen in app. This can all be tracked in the Salesforce dashboard but i'd like for the data to be more useful and available to my agents in the app. Look at where loft can connect with Sales Force and what fields they can sync with. This was very important to us. Make sure your IT team is on board and ready to implement QOS if you implement the dialer. Even with using hardwired computers QOS is necessary to get solid connections. monitoring of our SDR success. Keeping sales messages in line with company message, increasing the connection rates with decision makers and increasing the call and email activity volumes. We have seen an increase in all of these. "Great tool for engaging with sales prospects"
The ease of adding cadences and integration with other CRM tools like Salesforce. The dialer feature also comes in real handy coupled with the intelligence provided the software. The support is super responsive and takes care of each individual query in a great manner. Really loved the personalized touch that I received ! Need to have more flexible options when it comes to designing mails, landing pages and making mails more attractive. Also did not come across a mobile app, which would have been great for mobility. Sometimes faced an issue with the wi-fi calling feature as one cannot know if the audio is being transmitted at the other end. Great sales engagement tool. Helps you create drip campaigns, call prospects while tracking their activities. The ease with which you can use and learn this software from scratch is simply amazing. The integration feature also helps save a lot of time and effort. Though there are limited options when it comes to designing mails or landing pages. A more effective brand outreach is achieved with Salesloft. Staying updated with the prospect activities and having multiple out reach options at your disposal , one can at the top of the game with instantaneous tracking and analytics available. The software also helps in validating the email addresses of a prospect. The scheduling feature helps reach out to people in a more effective manner by sending mails at their local time zones. "A powerful sales engagement tool "
The best thing about SalesLoft are the outstanding integrations that the platform has developed. It fit seamlessly into our sales tech stack and was able to sync all of our information back to the necessary systems. Additionally, Salesloft has helped us take some of the thought out of remembering to follow-up with prospects. The biggest miss many times for a sales team is remembering to follow up on a lead that might be warming up to your offering. With SalesLoft, we can track e-mail activity, views, clicks, and more to gauge how engaged a certain prospect might be. Although there is not much I dislike, the one thing that can be frustrating is the cap they set on outbound emails and the delivery intervals they make you set. When hitting "send all" on outbound emails, they will stagger in 30-60 second intervals depending on the setting. Not a huge issue unless you are sending 300 emails out at once, meaning the last email will send about 5 hours after the first. An extremely useful and powerful tool for those looking to increase their outbound productivity. We are increasing the number of prospects that we touch on a given day, week, or month. As opposed to hand-writing emails through SFDC or setting reminders for yourself in 3 different places, we can house all outbound activity through one tool. This has helped us increase our overall opportunity creation on the sales team and our overall closed revenue number. The thing I like best about Sales Loft is the ability to run cadences. It is a great tool that keeps you on track for prospecting. Also is a great tool that allows you to track what emails of yours are working since it tracks the open rate of all emails sent. I also like how it lets you see other employees cadences as well. There is nothing that I have found that I dislike about this product. One thing that I would wish is that it had better integration with SalesForce. Sometimes it can take a while for logged calls in sales loft to show up in SalesForce. This cause people to call acounts that have already been contacted. Great product to use and would highly recommend to anyone considering. The main business problem we are solving with this product is the ability to more effectively and efficiently prospect to our clients. It gives you live states on which of your emails are working and not by the click and response rate data. I do not really have any dislikes as the application keeps updating and adding new features into their program. Their integration with other apps crashes every once and a while but they seem to get it up and running in little time. Salesloft needs to work on its email tracking when it comes to firewalls. Firewalls will go through every link to make sure there are no suspicious links going through to their company and Salesloft will register this as multiple clicks on your links. This gives a false sense of engagement and clogs the notification page with unnecessary infromation. The views give a more complete view of engagement with an email sent to a prospect or client. SalesLoft has its best application with Sales teams as they need to manage emails going out to client and email engagement. I believe that Marketing teams will find better application in Marketo Hubspot and others in the space. I am solving scheduling problems, interest levels, prioritization and have seen a better result in all three. "An efficient, time saving, activity slaying machine "
Salesloft ability to keep all of my cadences and outreach organized is the most underrated value it has. Being able to email mass amounts of people is great and important but it doesn't mean anything if you have no way to keep up to date with all of that out reach. All I dislike is that when I copy and paste things into messages it can cause problems many times. As well if I insert a template it will create a brand new email thread instead of chaining it to the original, which is not helpful. It has helped us solve our ability to be efficient in our outreach as well as helping us track the success of certain types of messages. "Sales Development Representative at Tech Company - SalesForce is my life "
I like having the cadences. The cadences are so helpful to keep me on track with my day-to-day. Who I need to call, who I need to email, etc. I also like that you are able to build templates. This is especially useful when there is a standard email I sent frequently. Finally, meeting intelligence gives me the insight that I need to listen back to my calls in a profound, exploratory way. Email tracking is great (when accurate). The dashboard can get messy sometimes. There are some rules within a cadence that I don't like (re: moving a client from one step to another or email variant rules). It also isn't the easy to upload contacts into in a mass way. SalesLoft allows me to structure my day. Using proven sales algorithms surrounding time/volume of touches for a given prospect, I can generate a cadence that is enabling my success. I'm also able to save time and add personalization to my emails in an expedited manner. Easily searchable features, analytics tracking, compatibility to sync with other applications - ie: Salesforce, LinkedIn and DiscoverOrg. Dashboard easy to keep track of ongoing campaigns, opens and clicks on one screen - ability to create personalized content cadences for campaigns. occasionally slow processing screen to screen when working with larger batches of emails. Tagging feature could be improved, a way to add tags for newly uploaded contacts so they don't overlap or get confused with contacts already tagged and added to a campaign. Definitely do a trial of SalesLoft, it has been a great tool for success in hitting my goal numbers quarter over quarter. "Really easy to use Enablement Platform"
I have been a user for the past 2 years. The platform allows you to easily create outreach structures, cadences. We highly customize our outreach and it has been easy to scale. The integrations with other solutions allow us to work fast and improve our overall productivity. I wish the analytics were a little more in depth to review with my team. They have made improvements over time. We can organize our outreach on a per account basis an we are delivering a consistent message throughout the team. We have a consistent workflow from sourcing a net new name to execution of a message and it is really easy with Salesloft's integrations. If a new rep is hired, we can have them up and running in our process quickly. We understand what is working and what is not and are always making improvements to our messaging. My favorite feature by far is that all calls are recorded. I love having the ability to listen to something from the past that I might have forgotten or hear previous calls other colleagues had had with my client when it was theirs. I don't like that I have to pull reports and bring the contacts over into salesloft for things to login SFDC. Definitely use the scheduling link for setting meetings with customers. Giving them your calendar makes it work with their schedule! I can also now see how I stack up against colleagues on productivity on a day to day basis. I can track all interactions with certain customers and see who I am not interacting with as much. It's also been really good for training new Account Managers coming into my organization because you can show them previous interactions and which customers are easier to work with. "Solid platform but expensive and occasionally difficult to manage"
The concept is great and tackles one of the toughest issues in new business acquisition/sales emails: how do you reconcile the need for both quality email content and high-volume outreach? Getting set up was fairly simple and the user interface is easy enough. Cadences and templates allow marketing to provide templates for specific campaigns and even add tracking to links for easier reporting on our end. Snippets are also a handy feature to allow more intelligent customization. Despite my fairly minor gripes, SalesLoft definitely has made our outbound sales efforts more efficient. There are a couple gripes I have (bear in mind this comes from the POV of someone who uses the platform as an admin, not a user). There is, as far as I know, no good way to have Hubspot and SalesLoft integrate in a meaningful/helpful way. This is particularly annoying for ABM campaigns that incorporate sales outreach and there's no way to tie Hubspot and SalesLoft outreach together. Analytics/reporting capabilities are also pretty limited. It's great that they have this at all but for the price point, I kind of expected more here. It's also definitely in their best interest to build this out because SalesLoft is super expensive and it's hard to justify ROI without strong reporting to see where we're improving out effectiveness. Making outbound sales outreach and inbound lead follow-up more efficient while retaining a certain base level of customization for each prospect. "Use Salesloft a lot and helps me organize my day. " The ability to use Salesloft as a to do list. It helps me stay accountable with my customers and not lose track of upcoming tasks. With over 150 customer accounts, its the only way I can make sure I keep up with my outreach. I've also used Salesloft in a BDR role and it was a great to manage a larger amount of leads everyday to ensure they were getting enough touch points. Sometimes the connection within outlook breaks, requires a reset or reconnect. It would amazing if there was a way to loft already sent emails. Even if you don't get the tracking information a way to just log the activity with the click of a button without having to copy and paste. Its a super helpful tool! Customer outreach, renewals, prospecting into accounts, logging activity in SFDC, new product cadences, email tracking. Benefits are logging activity, tracking email open and click rates, organizing a larger number of tasks, testing difference cadences. "Good analytics but not user friendly"
The analytics tab is helpful for management. It seems like the platform was made for management and not actual SDRs. It is helpful for 1:1s to be able to dig into the metrics of each team member and see which email templates are working best, etc. Lack of filters for the peoples tab. On Hubspot we could filter by people who had seen a demo, when they were last contacted, customers, etc but you can really just search by email domain and tag on Salesloft. It is also frustrating that you cannot reply back to an email directly on Salesloft and sometimes it will not log my email replies on the analytics tab. 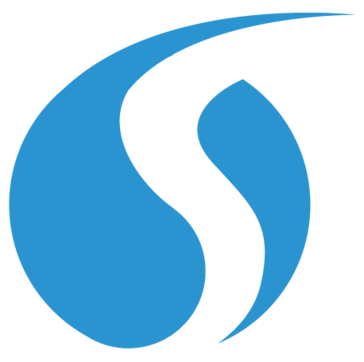 Salesloft is allowing us to have a central platform to send our outreach and track outreach that our SDR team is doing to attorneys that we are reaching out to. The main benefits we have realized are the different metrics we can see into to get a better grasp on the outreach our team is doing, best times to email call/ etc. I love so many aspects about SalesLoft! The user interface is easy to use, easy to look at, yet provides so much clarity and organization. I love that templates are easy to create and also to borrow from teammates when you need some inspiration. Creating a "cadence" (campaign) is SO easy and it's SO great at prompting me to run the next step. Running the cadences is my favorite part and no one else has it. It's a terrific side panel, that when you click on the person's name their information shows up in the main window behind the panel. I can easily see their email history, reminders, and contact information while typing a personalized or mass template email. I love that I can easily click within this side panel and change templates per person or just add a tiny change to a mass email either personalizing by typing or using a snippet feature. I can't tell you how much time I've saved by not having to click through different windows in order to find all of the information that I have within SalesLoft! We've also had amazing customer service :) Whenever we have a problem or major question, we get an answer promptly. I haven't found anything I dislike. I've been using for four months. "Great platform with plenty of room for growth"
Getting our Sales team on SalesLoft enabled them to execute scalable, repeatable Sales touches throughout the entire selling platform. The flexibility to work from any mail client, the SalesLoft Platform itself, or through the Chrome Extension via SFDC is a big selling point. Using a mix of Team and Personal Cadences have empowered our more Senior reps to customize processes; whereas, limiting our new reps to Team Cadences only keeps them on track. The option to either follow a strict cadence or do one-off click to dial/email is great. No more copy and pasting email templates, you can easily insert them to an email from any of your platforms. In return, SFDC activity logging enables insightful reporting both in SFDC and the platform itself. Stop reading this review and request a demo ASAP! We're using SalesLoft to enable the Sales (SDR/Outside) and CRM Teams to sell more efficiently. We no longer have concerns that Prospects aren't being touched with the frequency/consistency Management has outlined. Not only do we know that the appropriate touches being made, but we can easily pull reports to show Management where our Prospects are within the Sales Cycle and also how efficiently our reps are now working with the tool (massive volume increases and hyper-personalization because of time savings). Big fan of the email features - ex: send out multiple emails at once, send out emails at a specific time, etc. I like the fact that it keeps track of activity and everything is linked to salesforce so there's no need to log activity on both ends. Everything is pretty organized, self explanatory and easy to navigate through. I've had issues in the past sending out emails where if the recipient doesn't open the email or reports it as junk, the following emails sent through salesloft come back as undeliverable. However if I send the same email through my outlook, it will be delivered. I've asked our IT guys about it, they believe it's a salesloft glitch. This is an issue for me because as a business development rep, my activity is closely tracked and because salesloft only tracks the emails that were delivered, it's not always accurate. I personally find it very useful and as I mentioned earlier I believe it has improved and increased my productivity. I've had more luck getting a hold of prospects because of it. Not sure how much it costs so can't comment on that. I like to know as much as I can about the company that I'm calling so the competitors and different insight features are great. It saves me time and seems more accurate than other websites like BBB, owler and Bloomberg. Love the fact that I'm notified when someone views or clicks my email. It's a good way to catch a prospect when they're at their desk or in front of their computer. I can create a cadence for my SDR to copy and use on my top accounts. I wish there was a feature when building out steps in a cadence to assign rules to which step a person will go to if they do a specific action. i.e. if I sent out 100 emails to cold accounts, I would like to make a rule that anyone who opened or clicked on that email would then go to a call step. The others would go to a float email step. OR it would be helpful if you could select people, from the email view in a cadence, to then move onto a different step. Also, frustrating that the email view and click results in a cadence are not cadence specific. For instance if someone else had sent a prospect 3 emails, she viewed one of them; but now that account is in my territory and I send her an email from my cadence - it shows that she viewed my email when really she viewed one of the past emails. Would be nice if you could complete reminders from the home page. Hey Suzi - thanks for your support and use of SalesLoft. One idea for your comment ("if I sent out 100 emails to cold accounts, I would like to make a rule that anyone who opened or clicked on that email would then go to a call step"), have you tried creating an automation rule to trigger this action? We can help you get it set up! "Great tool for tracking communication with accounts/customers, and phone integration "
I like sending email, and being able to track when those emails are opened and links are clicked on. Also, I like not having to use my personal number when making calls at work. Knowing which customers are engaging with my email, and when, really give me an advantage when following up. There are times when my gmail and SalesLoft are not connecting properly. That can be frustrating, because I want to track all emails that I send out (including those sent directly from my gmail account) This doesnt happen often, but never good when it does. Also, I have trouble calling out at times. This is by far one of the more frustrating things to deal with. I press "1" as I am told to do whn calling out. However, after a few seconds of silence, I asked again to press one to dial out. When this happens, I have to hang up the call and try my luck again. Calling into businesses, cold outbound, is a tough job as it is. However, with the tracking features, we know who and when there is engagement with emails. That helps with with organizing my day to day. I can organize my calls for the day because I know which leads are warmer. Increasing my chances to have good conversations with those accounts. Also, email templates save me tons of time. I have used Sales Loft from both a Managers side of things and also a Users side of things. I love the granular metrics and how prospecting is made easy. This gives you marketing detail as well to know how effective you are being or how effective your team is being with their calls, emails, and LinkedIn connections. There are so many ways to personalize Sales Loft for yourself and your team. I also like the humor and personalization that some of the support team gives and they are really outside of the box. This aspect is big for me as a decision maker!! The only thing I would like is for Sales Loft to send out notifications that updates are happening or if they are experiencing system wide outages. There have been several times that Sales Loft goes down and i have to reach out to their support only to find out that my team didnt have the most recent update or that a system wide outage happened. I will say that when you reach out to the Support email for Sales Loft that they are very responsive and get the issue resolved quickly. This is such an amazing tool that plugs into Sales Force and helps prospecting. There are other tools that also plug into Sales Force and that work well with Sales Loft, in one big unison for a Sales team. My team and I have solved business issues that consist of : tracking metrics for call/emails, having actionable training material for self and team, having access to recorded calls for coaching, being able to track what is working and not but cadences, and having the ability to add touch patterns. Salesloft helps me stay organized. I put all of my prospects in a cadence that I have organized by the Sales reps I support. Then when a rep asks me what I am working on for them, I can go to those cadences and have a clear picture of what has been done and what needs to be completed. I like that we can record our calls. This helps us with coaching our associates. Not everyone is fully vested but we are currently working on that. I like that I can see who is seeing my emails and how many times they have opened it. I like that we can create personalized templates. The cadences keeps our team on track so we can stay ahead of the game. Since I have started using Salesloft, my number of appointments have increased and I feel like I am more efficient because of it. Sometimes email tracking is not always accurate. If I open the email that was sent it tracks it as the recipient opened it when in fact it was me who opened it. The onboarding process wasn't the best, It was very confusing and I do not feel it was handled in an easy manner. We have had three account managers in 2 years. I wish Salesloft would have taken more time at the beginning to understand our business better. It would have made onboarding more efficient. Onboarding needs to be more streamlined. Making sure that your company understands your customer's business a little better. Fixing the email tracker where it only shows how many times the actual recipient has opened it not just how many times it has been opened in general. We are able to send mass emails with ease and use that feature for campaigns and see what business has resulted from it. "A great platform for Sales Enablement, has everything you would. " What Salesloft does best is provide a way to quickly reach out to prospects with through tasks and cadence steps. Cadences are easy to set up and include either LinkedIn, phone or email cadence steps. This makes keeping track of over 100 prospects is easy and organized, one of the difficulties with task based outbound is keeping track of all these steps and the feed of all previous activity provides excellent insight. The Linkedin integration is also really good because it provides the profile of the prospect right in the UI so you can glean relevant information right before a call. The integration with Gmail is very clunky, they should take a page from Outreaches playbook, because it takes a lot of space at times and does't provide good visibility into which emails were viewed or not. I am also a little sketched out by the call recording functionality as I am unsure of the legality of that feature in my state. Sales is a very time consuming chore, but by using a platform like salesloft you can reach out to more prospect while having more time to prospect for different prospects. Hey Julius - thanks for your review and support as a user. One thing I wanted to bring to your attention is the call reporting compliance we released earlier this year. It reads the recipients area code and automatically turns off call recording (or only records one side) per the legal requirements of the state. Would you like to know more? I'm kyle@salesloft.com. Thanks again and Happy Lofting! "Great tool for maximizing daily outreach"
Salesloft's integration with Salesforce makes it easy to create lists of leads you want to add to a cadence. The solution is great at getting a team to consistently perform targeted, tailored, outreach. It saves time and effort in reaching numerous prospects at once and is great for things such as event and webinar follow-up, inquiring about interactions with your team's marketing materials and cold emails with relevance from a prospect's LinkedIn. I personally would prefer to send within outlook or Salesforce. Luckily Salesloft allows for this, however, Salesloft's capabilities seem to work best on their website. The tool seems to function best for cadence strategies for multiple prospects, but is not as well-suited for sending 1-off emails can be redundant at times. Make sure that you focus on effectively training your staff on the product. Some will have no trouble but others might not fully grasp how to best utilize the solution. "Adequate but inflexible outbound sales tool." The calling functionality is far better than Outreach. It's really easy to use and seems more or less intuitive for anyone who's worked on a computer before. The dial-pad is also better than Outreach and allows you to seamlessly change phone numbers without making changes to the contact. Email deliverability has not been a problem thus far at all. The LinkedIn integration is really quite nifty and allows me to quickly match and save prospects... I love that functionality! The taskbar integrates to Gmail as well makes follow-up tasks a little bit easier. Importing CSVs to the people tab is also easy. Reporting is amateurish. Drill-downs on the cadence level or non-existent (who clicked, opened, replied)... automation rules are confusing. Reporting on the cadence level is essentially non-existent, and SL beakas it up by user and template? Pop-up notifications often times don't work... Some emails come back with a ton of engagement that is probably untrue (3 clicks in one minute right after delivery). Stopping prospects mid cadence or skipping steps is not as easy as it should be (far mass edits). I haven't been able to set up my Salesforce->Salesloft integration as tightly as I would like it to hum, but perhaps that's another issue. We're an outbound B2B team and our integration with Salesforce makes calling and emailing more streamlined. "Got Access and started using without any training"
Sometimes my email integration with Gmail is clunky and I've sent some internal emails and they have been caught in our spam filter, which worries that some of my other emails to clients may be experiencing the same result and I wouldn't know. Solid tool and very easy to use with little to no training for someone who is experienced with Sales enablement platforms. "I would buy it for myself if the company didn't provide it"
This is my best scaling asset. I can do way more in way less time because of Salesloft. I wish that my Salesforce contacts could import automatically or with 1 click instead of 2. That's literally my only issue. Take the time to build out templates and cadences for every customer type, or potential customer type. The more specific you can be, the better your open rates and reply rates will be. Several of my templates are getting a 17+ percent reply rate. I handle the current customer upsell process for our company. In my CRM, Salesforce I can identify several different categories of customers that I need to reach out to on a daily basis. However, it's a waste of time to create activities in Salesforce and keep manually pushing those activities out after calling/video emailing. With Salesloft, I can create email templates that are accessible in gmail and applicable to each category of customers that I reach out to. I start by sending them a video email in a Salesloft template and then directly from gmail I can add that person to a 'cadence'. The cadence might be as simple as 1 follow up phone call, or as a detailed as a 10 part outreach that includes video emails, calls, letters, texts, etc over the course of months. I never have to think about my process. I just show up in the morning, add new people to each cadence and Salesloft tells me who to reach out to. Very intuitive platform. It is easy to set up e-mail cadences and the sales tips and personality hints really help you craft personalized outreach. In addition to the ease of use, the platform provides amazing tools to help you analyze your work to improve messaging. You can set up A/B testing and to really quantify the effectiveness of your outreach. It should be more intuitive to be able to see the clicks/ views of specific e-mails. It would be easier to just be able to click on the views / clicks/ opens summary on the cadences page to get directed to a view of all the people who did actions on each specific e-mail/ cadence. It helps to have one solution where we can create, analyze, and improve on our outreach. "Account Executive's Review on Salesloft"
Additionally, I love that this stuff logs my activity. For my own personal needs and for my manager's desires logging activity is a lot easier in Salesforce when i can do it with one click from Salesloft. Using Salesloft from within Salesforce is subpar. I have used similar tools before that had a better integration allowing for me to add contacts in Salesforce into cadences from within Salesforce. You can do that with Salesloft, but it just is not as user friendly. Prospecting. I mean that is what the tool is all about. "SalesLoft Open Rates Are Fantastic"
My absolute favorite thing about SalesLoft is the email open and reply rates. On this merit alone I would recommend SalesLoft. One of my other favorite things about SalesLoft is how easy it is to set up. As you're getting started, it walks you through each step. These steps include things like connecting to your Gmail and Salesforce accounts. I also really like the user interface for things like creating new cadences (which are sequences of emails that you burst out to leads). There are useful features like scheduling your emails to go out on a certain day at a certain time which helps by automating a lot of outreach efforts. I also really like the Analytics tab. The visualizations are clear and appealing. The emails tab is also very clean and uncluttered. The only thing I have encountered so far that I dislike is that the lettering is pretty small on the tabs/buttons. Apart from that it's been great. I definitely recommend SalesLoft because it greatly improved our email open and reply rates. We are using SalesLoft to automate our outreach efforts as much as possible. We are using this solution to create what are called "Cadences" to automatically send a series of emails on certain days and times to our leads. SalesLoft is also a great tool for creating call task lists to enhance the outreach efforts. "Awesome tool for activity automation!" Love the fact that you can build workflows within the Salesloft platform instead of SFDC. This is extremely powerful for us now that we can automate status changes and reduce the number of clicks into each individual record. I'm not the biggest fan of how the VOIP pricing model works. It's slightly complicated and you can't easily change phone numbers. Also, the ability to customize the Salesloft Person status to our fields and leverage their native reporting would be nice. "Makes sales engagement and SDR management easy"
It's easy to create and use cadences to ensure that you're executing your intended prospecting campaign. It facilitates sales engagement for my team, helping them stay on track while spending minimal time on low-value organizational tasks. From a manager perspective, it gives me easy snapshot views to my teams activity. I wish the reporting capabilities were better. I mostly use Salesforce reporting to analyze my SalesLoft data, but I would be able to do more in depth analysis if I could slice and dice the data within SL. I also wish that the SL canned reports allowed you to drill down into the supporting data. We use SalesLoft for our SDR team. I can't imagine not having it. Along with Salesforce, SalesLoft is the foundation for our outbound sales program. "Salesloft - Sales at Scale"
Salesloft is a product that works, period. Creating cadences for my customers, sending videos, using the built in tools to better personalize my outreach, etc; it always performs at the highest level. As a sales rep, it helps me save time while sending better emails to more prospects. Uploading contacts can be slow, so I have to plan the imports in advance depending on when I want to send out the cadence. Salesloft is the most robust platform out there. Consider all your options when testing platforms, but put Salesloft at the top of your Sales Stack if looking to take your SDRs or AEs process to the next level. Salesloft lets my team and I take our sales process to the next level. Before we started using the product, we were sending out emails individually and managing the cadences ourselves. Now, we can collaborate on the best cadences and then replicate that across our territories for the best results. Salesloft saves us time and enables us to focus on the important stuff, closing business. We use the Salesforce integration extensively. I'm personally a huge fan of the ease of importing contacts and the automation rules. Additionally, the cadence builder is intuitive and powerful. Having the ability to send an automated email based on the prospect's timezone just demonstrates SalesLoft's thoughtfulness when building a prospecting tool. I wish there was more thorough reporting and flexibility with steps. For example, I'd like to be able to create a call step for multiple opens/clicks in an email. Definitely take advantage of the Salesforce integration. The automation rules can get complex and incredibly powerful. We previously lacked proper tracking for our leads and contacts and how they progressed through the Buyer's Journey. Now with SalesLoft, we can have our prospecting activities tracked easily in Salesforce. "SalesLoft is the best sales enablement tool I've used." Ditching Salesforce tasks for SalesLoft cadences has changed the way I work. I no longer waste time clicking around and managing my work, I just work. This has freed up a ton of time and helped me get better at my job! Call quality through the IP phone service can be shaky at times, even when our work internet is rock solid. Not sure what to chalk that up to. SalesLoft desperately needs a mobile app or site. The lack of options in the people view for filtering is frustrating. If you need a way to boost productivity in your sales team and increase visibility on activities and means of success, please try SalesLoft! Easier reporting for the team and higher activity levels from the SDR's overall! "The Top Business Development Tool"
The calendar tool that is built into the platform. Having the automatic reporting when a prospect books a meeting saves a lot of time. I also like the fact that SalesLoft is constantly releasing new features. It almost seems that whenever we start to look for a 3rd party app to fulfill a need SalesLoft releases a feature that perfectly covers our need. The people at SL are also fantastic. Our Success Manager Brian Honick did a great job of making sure we were up and running as quickly as possible and stayed with us throughout the entire onboarding process, answering any questions that we had. There are times where the opens are slightly inaccurate. It will say the email was opened 3 times but then 10 minutes later it will say it was only opened once. If you want a business development tool that is consistently releasing new features then SalesLoft is the only choice. I am able to reach more prospects with greater personalization in the same amount of time. Our company focuses on Account Based Outreach and SalesLoft allows me to keep an entire account organized. Plus, once I book a meeting with somebody in a company I am able to seamlessly remove everyone else from their cadences. * We monitor all SalesLoft reviews to prevent fraudulent reviews and keep review quality high. We do not post reviews by company employees or direct competitors. Validated reviews require the user to submit a screenshot of the product containing their user ID, in order to verify a user is an actual user of the product. Hi there! Are you looking to implement a solution like SalesLoft?